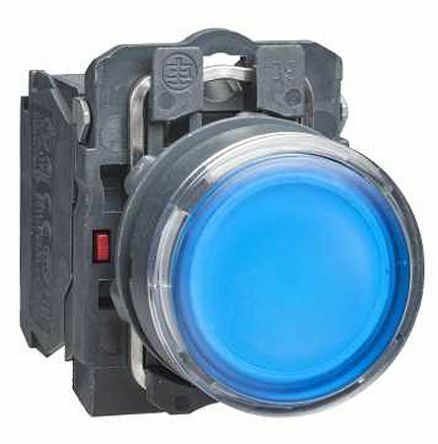 XB6 series illuminated push buttons with rectangular, square or circular head. 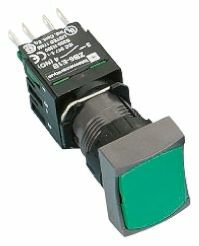 Illuminated pushbutton with double insulated bezelSpring returnComplete unit1N/O + 1N/C contactIntegral LED. 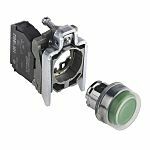 RS Pro range of panel mount spring return pushbuttons. 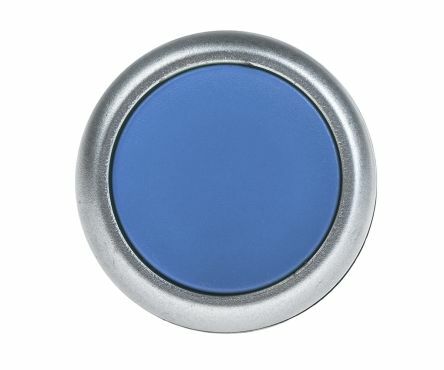 These pushbuttons are supplied complete with built-in contact block. Flush cylindrical headAvailable with 1NO + 1NC or 2NO + 2NC contactsSpring returnIP65 protectionRating 240v ac 1.5A.